Great homes start in Melbourne North West. Stroud Homes Melbourne North West brings you beautiful, award-winning homes that fit your land, your budget and your family. Paddington 176 Classic Facade By Stroud Homes. Adam & Rachel were fabulous from day one! As first home buyers we had no idea what we were doing, they were helpful and so transparent with every detail from the costs to the building specifics. Our package included everything even a letterbox & clothesline! The colour choices were beautiful and the build was seamless. Communication was wonderful with the Voxer app, it kept us both in the loop & receiving picture updates was so exciting! Adam would also call every Friday with a weekly update of where they were at! The build was completed two months before the planned end date. We were welcomed into our new home with two smiling faces and a giant green bow! We can’t speak highly enough of Adam & Rachel from Stroud!! I can’t speak highly enough of Adam and Rachel and their expertise in helping me build my first home. They made every step of the process so easy and they were nothing but accommodating to the changes I wanted to make to the original plans and provided their advice to enhance my changes. The commencement of the build was timely and it just kept moving forward. The regular updates and photo’s of the build was great and I am so pleased with the end result. Thank you Adam & Rachel. 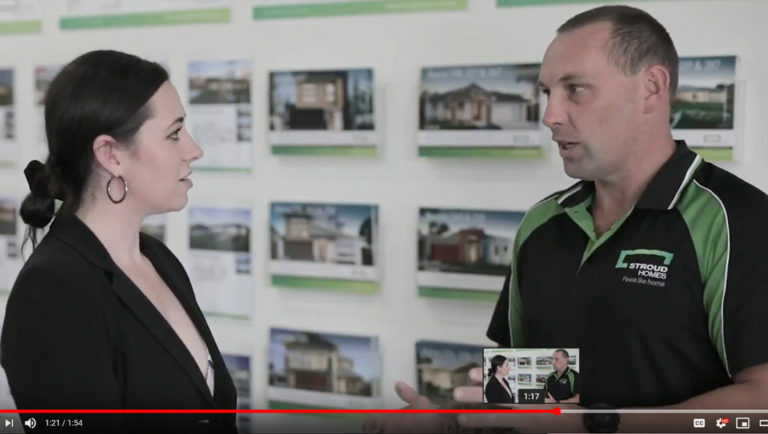 Diggers Rest Display Home Preview Opening Sat 16 Feb 2019!